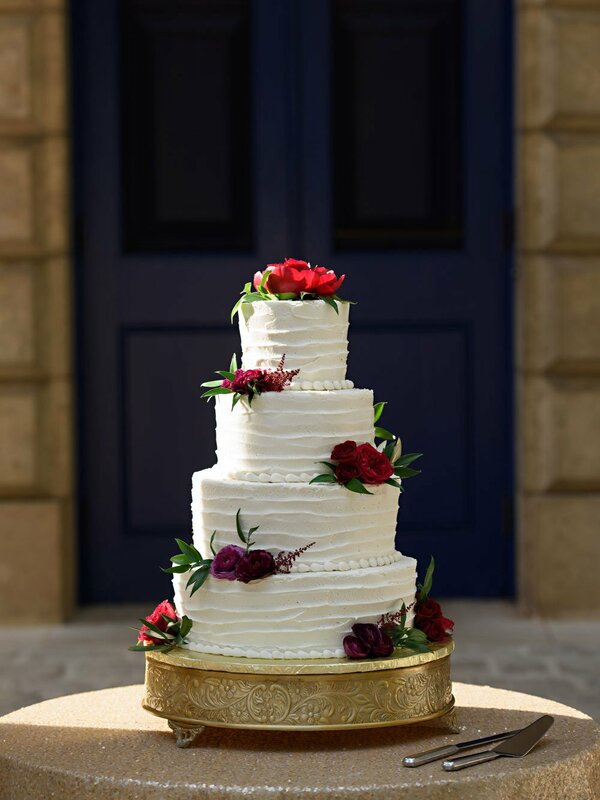 Let Them Eat Cake…With Flowers! 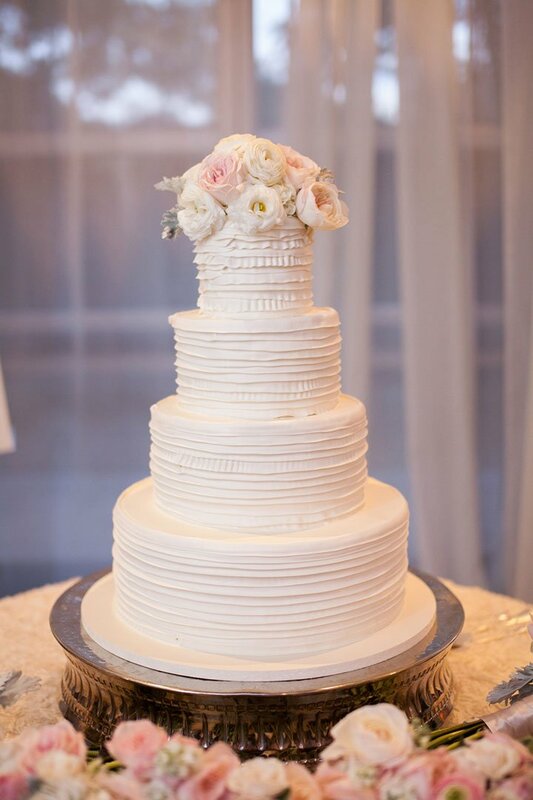 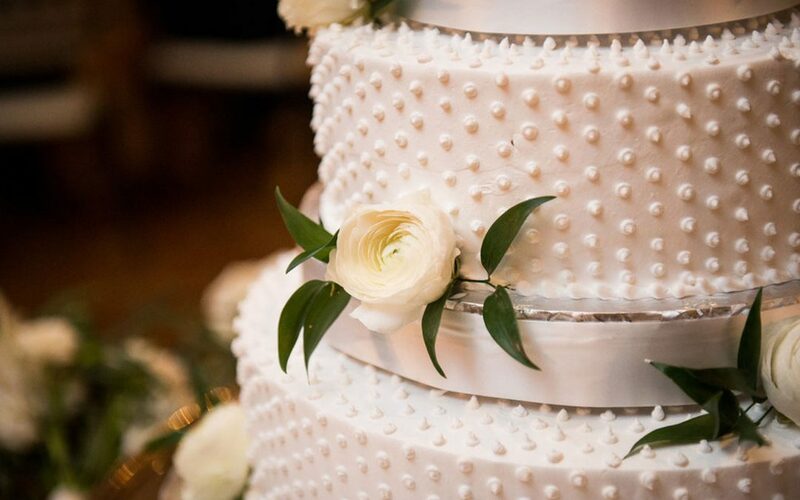 We could put blooms EVERYWHERE and ANYWHERE, but one of our favorite places is your wedding cake. 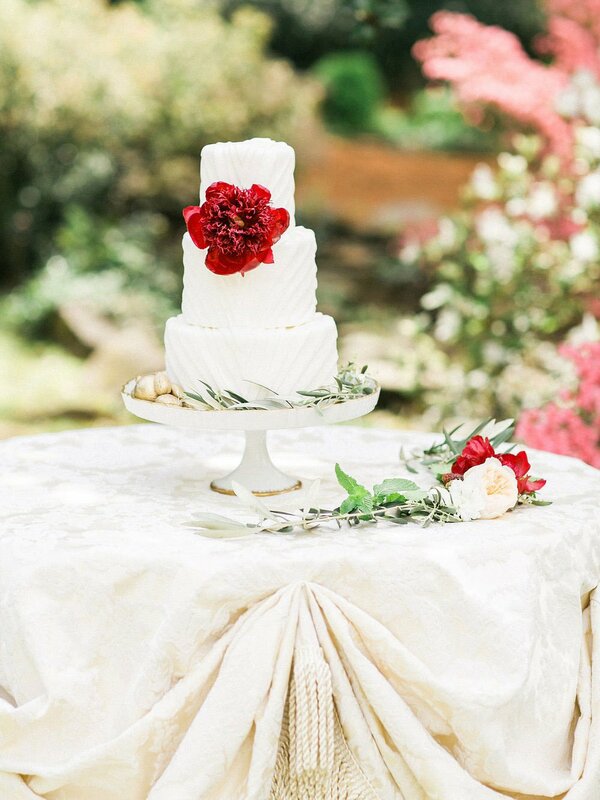 There’s something so special about making your cake table a focal part of your wedding decor. 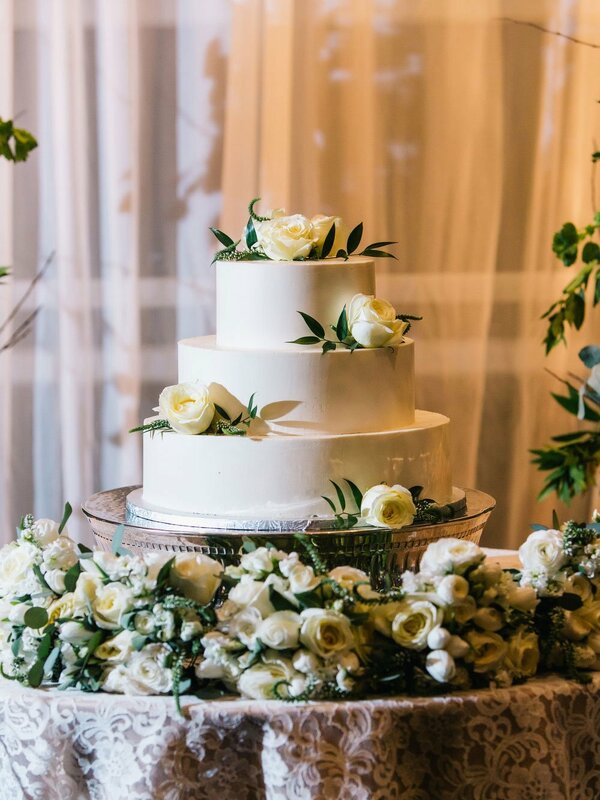 From specialty linens, to surrounding your cake with candlelight, or bridesmaids bouquets; we love to add perfectly complementary details to this special table. 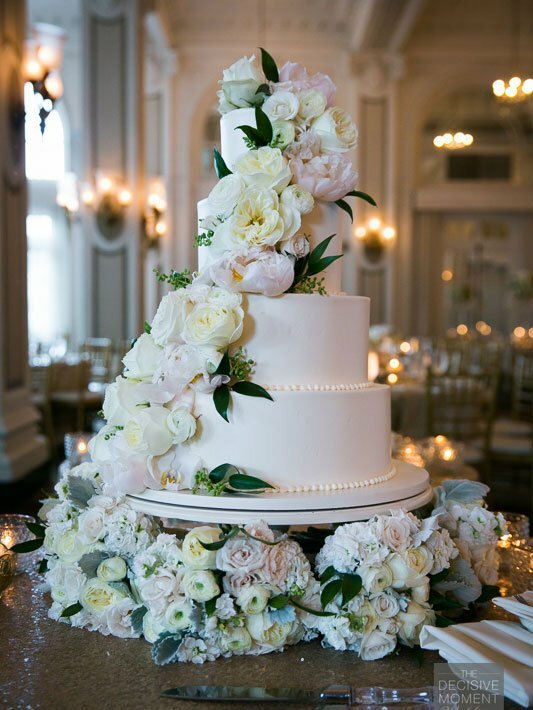 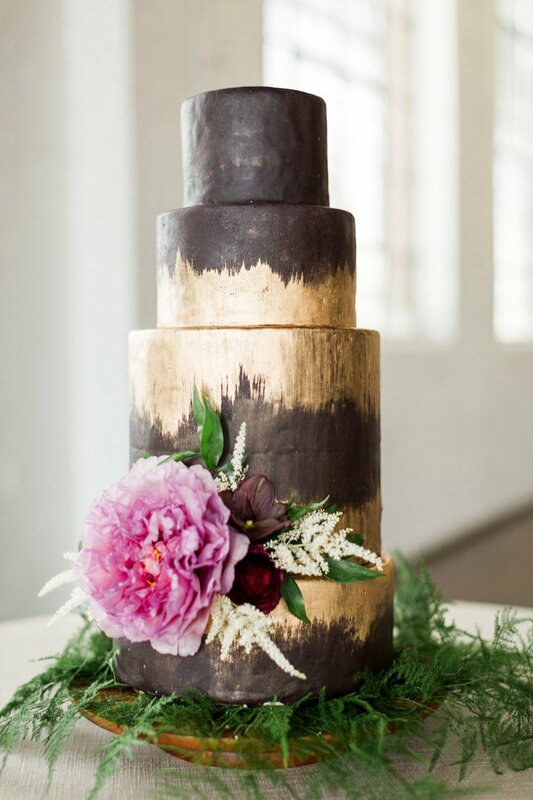 There are so many different floral styles you can choose for your cake; a lush peony, small touches of ranunculus and greenery to accent, or a cake filled with cascading peonies, garden roses, and greenery, we adore it all.